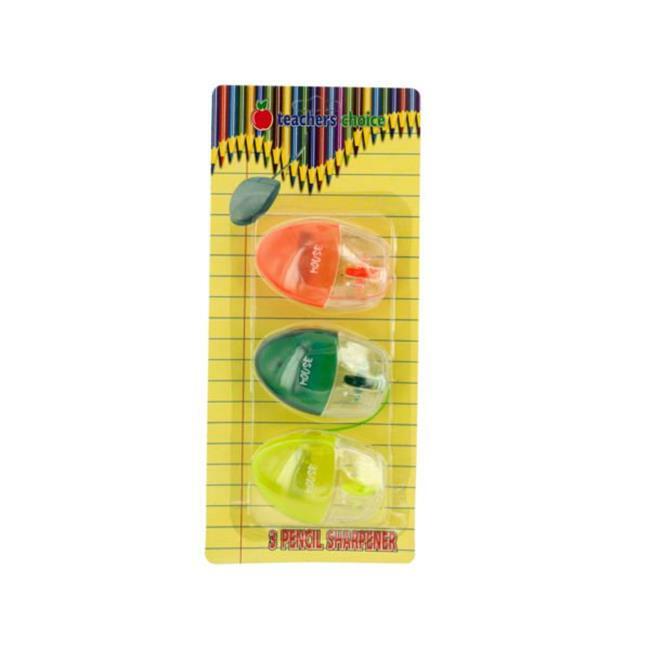 Keep pencils sharp and ready to use with this 3-piece Computer Mouse-Shaped Pencil Sharpeners Set featuring colorful plastic sharpeners in a fun mouse design with shavings compartments, wheels and short cords. Sharpeners measure approximately 2.5'' x 1.5''. Comes in a blister pack.